In the 1970s, when Marcella Hazan began writing cookbooks about traditional Italian cooking, few in America found her dishes familiar. 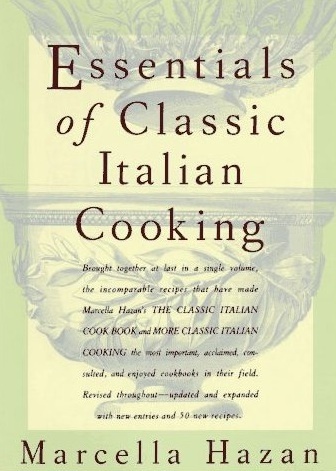 But her first two books, The Classic Italian Cook Book and More Classic Italian Cooking, featured foods now current around the country, including polenta, risotto, gnocchi, and simple vegetable braises. Both of those books are included in Essentials of Classic Italian Cooking, along with lower-fat updates, new recipes, and tips on ingredients.